China Ocean Technology Conference, attended by China's top academic members and international scholars, is organized by Zhejiang University and the Committee of Ocean Technology System (OTS), Chinese Society for Oceanography, biennially. The national conference is now permanently taking place in Zhejiang University’s Zhoushan Campus. The third one, held in May 2017, saw the participation of 500 experts from the ocean technology sector, who met in Zhoushan, China's leading marine cluster & world renown ocean city, to exchange know-how and to discuss the latest trends, R&D and applications. The speaker line-up was impressive, with some of most renown academicians and experts from the field in the auditorium. The meeting involved delegates from across the nation, as well as visiting international experts. For example, among the speakers were Gong Xianyi, Member of Chinese Academy of Engineering, Zhejiang University; Wu Lixin, Member of Chinese Academy of Sciences, Ocean University of China; Jiao Nianzhi, Member of Chinese Academy of Sciences, Xiamen University and Zhang Si, Member of Chinese Academy of Engineering, South China Sea Institute of Oceanology (SCSIO) in the third conference last year. With the accomplishments over three editions, and with the support of the IEEE OES Shanghai Chapter and SUT China Branch, OceanTech International Symposium will be launched as part of an expansion initiative of the national conference in 2019. The 4th China Ocean Technology Conference and the newly launched OceanTech International Symposium will now form part of an umbrella program -- OceanTech Program (OT 2019) -- that unfurls into an exhibition, co-located conferences, technical seminars, workshops, and live demonstrations. A guided tour will also be hosted for international delegates to visit some of the most important ocean facilities in Zhoushan. Talent Club will also be launched to serve career development for China’s rising stars. 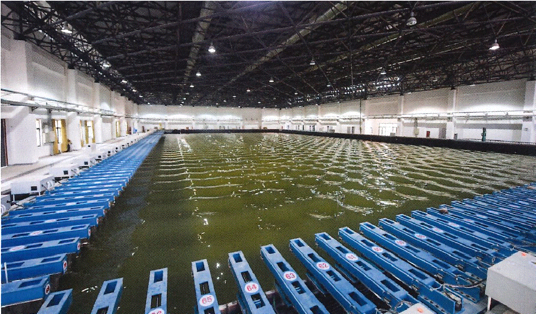 The OceanTech Program (OT 2019) is an international showcase of the latest know-how & live demos, conceived and realized by China’s own ocean community. It is a unique opportunity to meet with old customers, exchange new idea, build new contacts, promote new products, find distributors and learn the latest developments in China through networking with the nation’s ocean community. 1、Multibeam survey demo coordinated with Zhejiang University's Zijingang survey ship as mother vessel, carrying R2Sonic 2024, arrayed with two USVs -- 5.5m and 3m -- each with an R2sonic 2022 or 2024 on board. 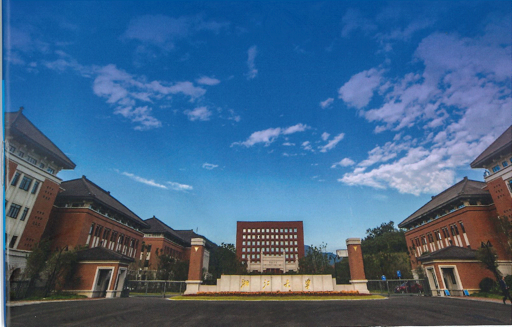 The OceanTech Program (OT 2019) will be hosted at Ocean College, Zhejiang University (Zhoushan Campus). Zhoushan, China’s largest archipelago and one of the nation’s leading port cities, is a popular tourist destination in Zhejiang Province. It is home to Ocean College, Zhejiang University. In addition to Zhejiang University, Zhoushan’s local government has established collaboration with Beijing University, Shanghai Jiaotong University, as well as the Chinese Academy of Sciences and the Second Institute of Oceanography (MNR). With State Council’s approval to establish Zhejiang Zhoushan Islands District on 2011, it became the fourth national level new economic zone and the first with such status to build a marine economy, serving as China’s strategic oceanic window to the world. Zhoushan’s key industries include: port and navigation services, ocean technology equipment, marine engineering equipment and shipbuilding, marine tourism, marine sourced energy production, marine mining and mineral extraction, marine biotechnology and modern marine fisheries. In 2017, Ningbo - Zhoushan port has topped global port rankings by capacity for the ninth straight year, while becoming the first port with an annual handling capacity of more than a billion tons. Zhoushan is also a world renown ship maintenance base, with Xinya Shipyard Company, one of China’s top three shipping repair companies, located in Liuhuan. Ocean College, Zhejiang University (Zhoushan Campus), is located on China’s largest archipelago and in one of China’s leading port cities - Zhoushan, Zhejiang Province. It has nine research institutes and one research center which include Institutes of Ocean Engineering and Technology, Marine Geology and Resources, Marine Chemistry and Environment, Marine Biology and Pharmacology, Physical Oceanography and Remote Sensing, Port, Waterway and Offshore Engineering, Marine Structures and Naval Architecture Engineering, Ocean Sensing & Networking, Ocean Electronics Engineering & Intelligent System and the Maritime Logistics and Fre Trade Islands Research Center. It has also established the Zhejiang University Ocean Research Institute and Zhejiang University Advanced Technology Research Institute Zhoushan ocean Branch. Ocean College focuses on China’s national strategic objectives in resources, environment, sovereign rights and deep oceans, and, the local science and technology needs in Ocean Engineering Equipment, Environmental Protection Technology, Deep Ocean Equipment and Resources Exploration Technologies, Marine Safety Assurance Technologies, and Marine Environment Monitoring and Restoration. The college benefits from its location in Zhoushan, a unique ocean environment, and Zhejiang University’s multidisciplinary structure. Ocean College strives to build a premier national ocean science education and talent base. Ocean College’s banner meeting, China Ocean Technology Conference, attended by China’s top academic members and international scholars, is conducted biennially in May. In 2019, the 4th China Ocean Technology Conference will co-locate with the new OceanTech International Symposium and OceanTech Exhibition. These events -- to be held May 16-18 -- are part of OceanTech program (OT 2019), aiming to stage the latest technological advancements and to facilitate the growth of China’s ocean technology industry in its strategic oceanic window to the world. The Committee of Ocean Technology System (OTS), based at Ocean College, Zhejiang University, was established in 2017 in Zhoushan. The formation of OTS was initiated by the Zhejiang University community and approved by the Chinese Society of Oceanography. OTS’ primary objective is to help fulfill China’s initiatives for strengthening its oceanic capabilities. OTS’ scope covers the technology and equipment employed in the studies of ocean sciences, marine resource exploitation, environmental protection and national security assurance. OTS’ roles include organizing academic seminars, conducting internationally collaborated projects and optimizing available resources by substantiating, assessing, awarding and promoting innovative programs to foster ocean technology development. As a national platform for the marine disciplines, OTS supports domestic innovation by establishing systematic R&D and manufacturing channels. Additionally, OTS works with experts in the ocean technology equipment community to create demand to accelerate the scientific, technological and commercial advancements of this sector. OTS advocates for expanding education and training for the industry, and provides advice on national strategies, policies and decisions to support the development of new technology clusters and commercializing ocean technology innovations. Together Expo embraces its role to engage its customers in the latest Belt and Road Initiatives, spear headed by the Chinese Government, which call for integrating the region into a cohesive economic area through building infrastructure, tighter exchanges and broader trade that reach beyond the historical Silk Road to the Belt – South Asia and Southeast Asia. Since its incorporation in 1992, Together has organized shows for an array of industries including geology, agriculture, automobile, coal and mining, communications, construction, engineering, environment, fire, foods, furniture, health care, jewelry, logistics & transportation, optics & semi-conductors, real estate, retail, sports, wood – wherever more sophisticated technology is needed to modernize China’s own industries. As China emerged as the World Factory, energy and resources became the focus of the country’s growth, Together consolidated its resources into the energy fields to organize Asia’s largest coal & mining show and China’s only national scale geology show, both in the capital Beijing. As China emerged as a global investor and cross-border venturer, road-mapping its One Belt, One Road policies, Together captured the change, and has now entered into the ocean that connects all the continents of the world. Worldwide Ocean Technology Associations, Societies, Research Institutions , Centers, etc.